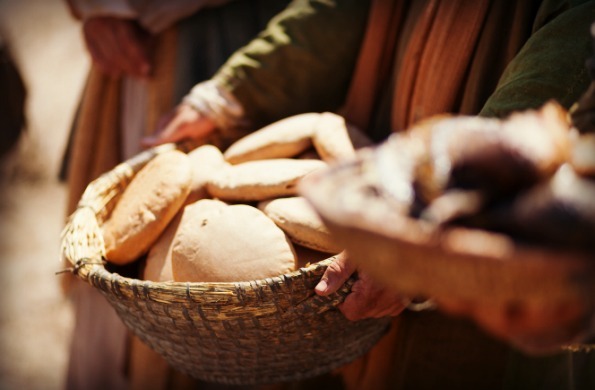 Bread of Life: Do Hard Doctrines Cause Offense or Faith? 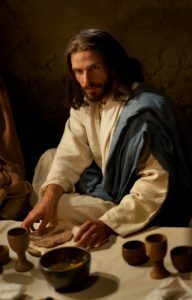 In John 6, Jesus delivers His Bread of Life sermon. 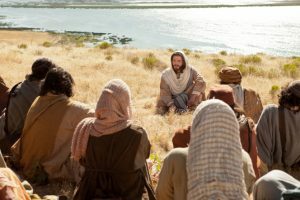 The chapter provides one of the most profound examples of juxtaposition in faith and offense based on the Savior’s doctrine. After Jesus healed many diseased people, He went to the Sea of Galilee with His disciples. A multitude of at least 5,000 followed Him. He miraculously fed the people bread and fish. 1. He is a prophet. Let’s forcefully make Him our king. Jesus shook off the worldly claims to kingship and went to the mountain. 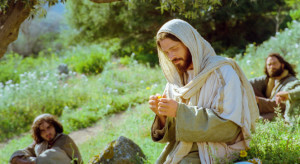 Instances of Jesus going to the mountains include going to pray or commune with God. I wonder how He felt. He’d been testifying for nearly 3 years that He had a kingdom, HIs Father’s kingdom. But nobody seemed to understand His words. And still, He stood as a beacon beckoning all to follow Him, to rise to the majesty of His truth and light. Come, He said. They came and followed but sought a temporal kingdom. Their short-sightedness on things of eternity sparks my own introspection. So Jesus went away alone into a mountain. I don’t feel Jesus sought isolation. I’m sure He would have appreciated like-minded companions, people who could understand and withstand the intensity of His true self and His relationship with God, a real friend. The people of Bountiful lifted their souls up, becoming as like-minded as they could at the time. Jesus met them where they were and included them in His prayers to the Father. And when he had said these words, he himself also knelt upon the earth; and behold he prayed unto the Father, and the things which he prayed cannot be written, and the multitude did bear record who heard him. And it came to pass that when Jesus had made an end of praying unto the Father, he arose; but so great was the joy of the multitude that they were overcome. Jesus remained on the mountain when His disciples began their trek across the Sea of Galilee. A storm hit the sea and they rowed and rowed to reach the other side. 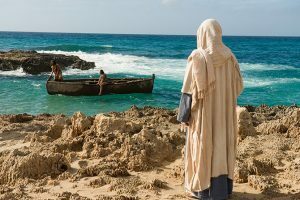 Jesus came to the ship walking on the water. They were afraid. He identified Himself. They received Him and IMMEDIATELY they were at land. How often He does this in the midst of our storms. The multitude apparently waited for Jesus to return from being alone in the mountain. In the morning, they saw His disciples were gone and Jesus wasn’t around. They got into their own boats and sailed after them to Capernaum. When they found Him, they asked when He got there. He addressed their temporal concerns. They followed Him because He fed them. 2. What shall we do, that we might work the works of God? This is an awesome question we all should ask. 3. What sign shewest thou that we may see and believe? 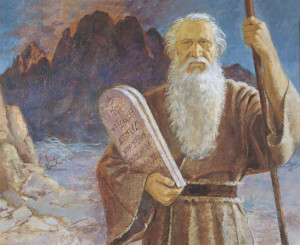 They pointed to Moses giving the children of Israel manna in the wilderness.Jesus pointed out that God gave them manna, not Moses. My Father giveth you the true bread from heaven. 4. Give us this eternal bread. I get this. The mundane parts of life get on my nerves a lot. Cleaning, eating, sleeping, when done well takes a lot of time. Aren’t there other more important things I could be doing with my time? How awesome to receive bread that satisfies forever or water that quenches every thirst! They began to feel uncomfortable. What was Jesus saying? They knew His parents. He came from Nazareth, not from heaven. With truth pounding in ears unready or unwilling to receive it, they couldn’t see outside of themselves. They couldn’t look past the literal. 5. How can this man give us his flesh to eat? They couldn’t grasp His doctrine. They saw and rejoiced at the miracles in their lives. They recognized the Savior’s penultimate leadership skills. They wanted Him to be their king until He invited them to consider their biases and preconceived ideas. He challenged everything they thought was true. But instead of revolutionizing their thinking, they murmured. They didn’t seek to understand and apply His doctrine, so they could not actually receive and accept Him. When the doctrine is a hard thing, am I offended? Do I go back? Do I understand, accept, and receive the Bread of Life? Do you? Thank you so much for sharing your wonderful thoughts and insights. I really appreciate it. Interestingly, I was just reading this the other day. 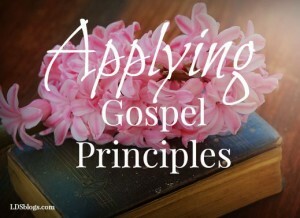 It is a hard doctrine for those who are not willing to seek to understand. I had to ask, and am still asking, the same questions you asked. I’d like to think that I have accepted Christ, but I still have a long way to go to fully receive Him. Thanks for your comment!! I agree in that I feel like I’ve barely scratched the surface of what the Savior offers though I’ve loved Him my whole life.